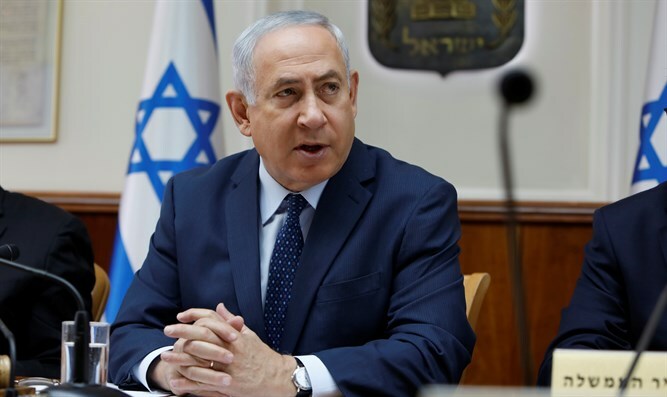 Prime Minister Binyamin Netanyahu on Thursday hailed his country's "fruitful cooperation" with Arab nations, as fears over Iranian influence appear to drive one-time adversaries closer together. "Our fruitful cooperation with Arab countries is in general secret, but I am confident that relations with them will continue to mature and that this will allow us to enlarge the circle of peace," he said in a speech to mark the 44th anniversary of the death of Israel's first prime minister, David Ben Gurion. Netanyahu insisted that peace between Israel and Arab countries would "happen in the end, because there are a lot of things going on all the time beneath the surface." Israeli officials have repeatedly said that shared worries with Sunni Arab nations over the growing might of Shiite Iran could cause a diplomatic reconfiguration across the Middle East, where Egypt and Jordan are the only two Arab neighbors to have made peace with the Jewish state. This statement fuelled speculation that the two US allies -- which do not have diplomatic ties -- could hash out some sort of deal to confront Tehran and the Lebanese group it backs, Hezbollah. US President Donald Trump has toughened Washington's stance against Iran with fiery rhetoric that has been applauded by both Israel and Saudi Arabia.